An international team of astronomers, led by Hakim Atek of the Ecole Polytechnique Fédérale de Lausanne, Switzerland, has discovered over 250 tiny galaxies that existed only 600-900 million years after the Big Bang  — one of the largest samples of dwarf galaxies yet to be discovered at these epochs. 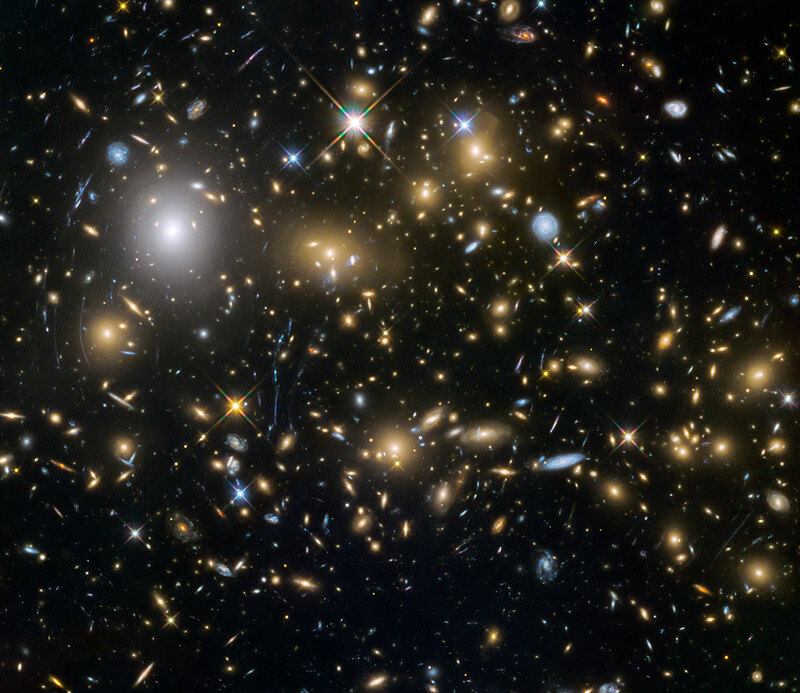 The light from these galaxies took over 12 billion years to reach the telescope, allowing the astronomers to look back in time when the universe was still very young. 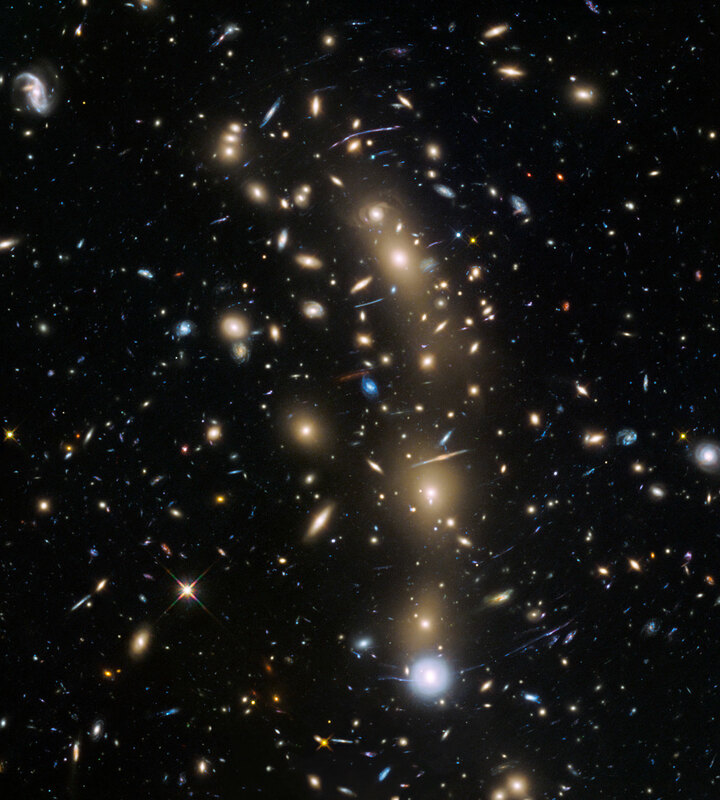 By looking at the light coming from the galaxies the team discovered that the accumulated light emitted by these galaxies could have played a major role in one of the most mysterious periods of the Universe’s early history — the epoch of reionisation. Reionisation started when the thick fog of hydrogen gas that cloaked the early Universe began to clear. Ultraviolet light was now able to travel over larger distances without being blocked and the Universe became transparent to ultraviolet light . 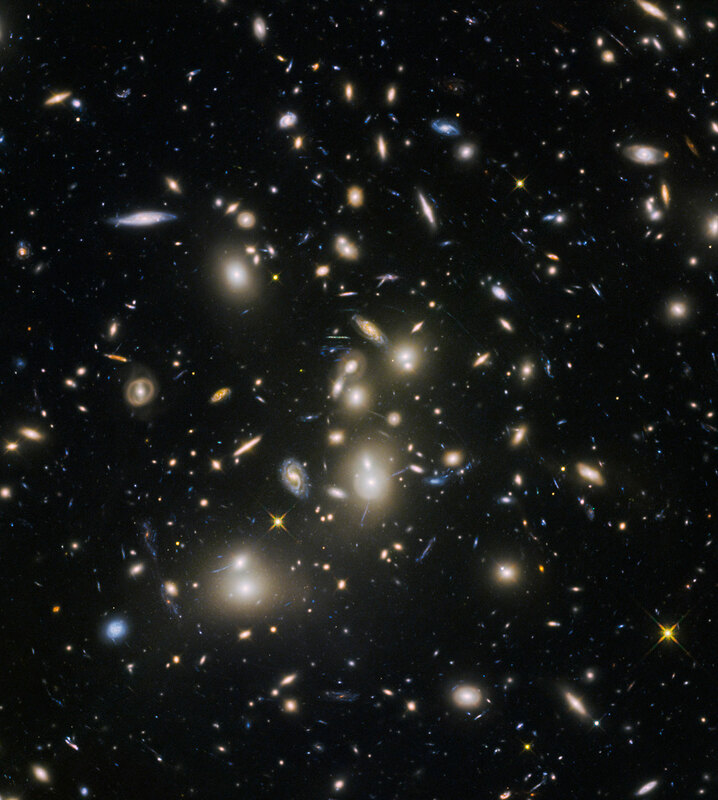 By observing the ultraviolet light from the galaxies found in this study the astronomers were able to calculate whether these were in fact some of the galaxies involved in the process. The team determined, for the first time with some confidence, that the smallest and most abundant of the galaxies in the study could be the major actors in keeping the Universe transparent. By doing so, they have established that the epoch of reionisation — which ends at the point when the Universe is fully transparent — came to a close about 700 million years after the Big Bang . Neutral hydrogen gas absorbs all the high-energy ultraviolet light emitted by hot young stars very efficiently. At the same time, the absorbed ultraviolet light ionises the hydrogen. The very low density ionised hydrogen gas filling the universe became fully transparent.The hot stars carve out transparent bubbles in the gas and once all these bubbles merge to fill all of space, reionisation is said to be complete and the Universe becomes transparent to ultraviolet light.